Wake the White Wolf! 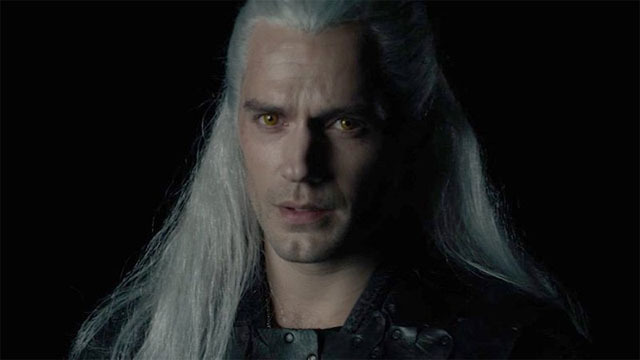 Netflix’s upcoming adaptation of The Witcher will finally arrive later this year. Via Variety, Netflix CCO Ted Sarandos told investors about “a big new original series that we’re currently shooting in Hungary called The Witcher, that is an enormous European IP, very popular game and Book IP, that we think is going to make a really fun global series.” Sarandos noted that the show will debut in Netflix’s fourth quarter, which runs from October to December. The Witcher is based upon Andrzej Sapkowski’s fantasy novel series, which in turn inspired CD Project Red’s immensely popular video game series. The eight-episode first season is based on the novels rather than the games. Henry Cavill (Man of Steel) will portray the lead character, Geralt of Rivia. Geralt is a talented monster hunter with powers and abilities beyond other Witchers. Freya Allan costars as Princess Ciri, with Anya Chalotra as Yennefer of Vengerberg. Jodhi May also stars in the series as Queen Calanthe, with Björn Hlynur Haraldsson as King Eist. Adam Levy, MyAnna Buring, Mimi Ndiweni, Therica Wilson-Read, and Millie Brady have supporting roles. Lauren Schmidt Hissrich developed the series for television, and she will serve as its showrunner/executive producer. The first season is currently in production. Are you looking forward to seeing The Witcher later this year? What do you want to see in the series? Cast your spells in the comment section below!